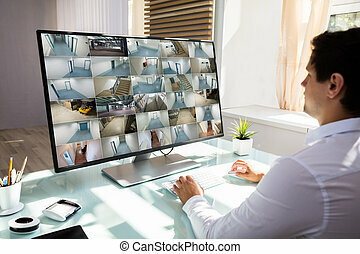 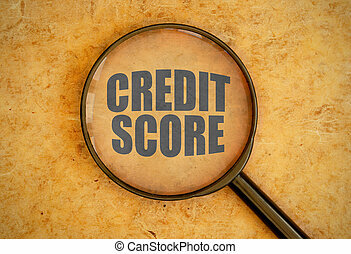 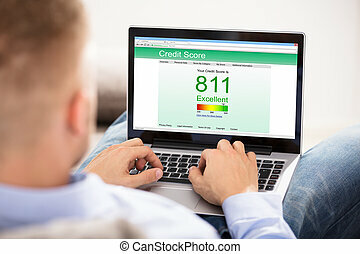 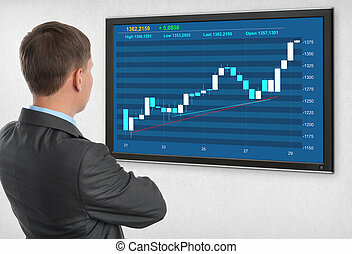 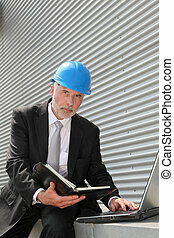 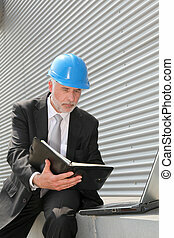 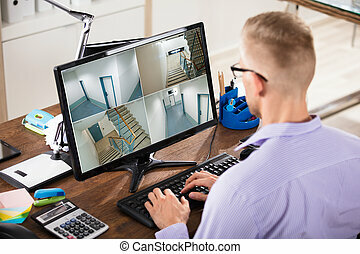 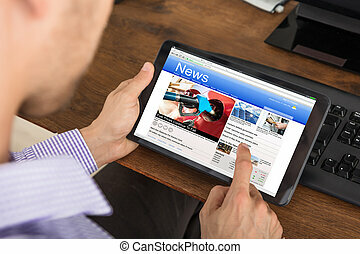 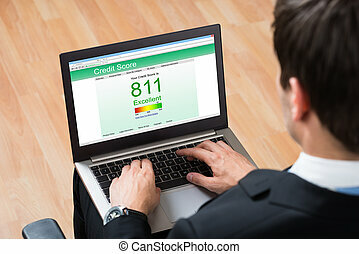 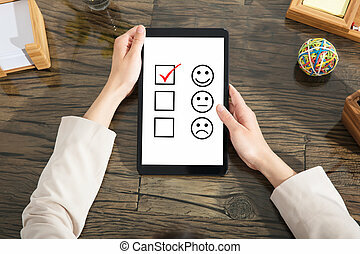 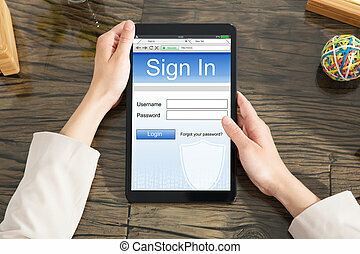 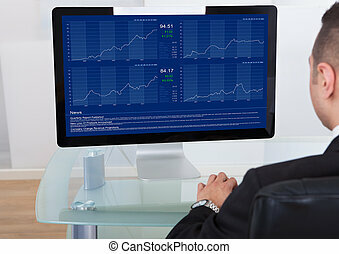 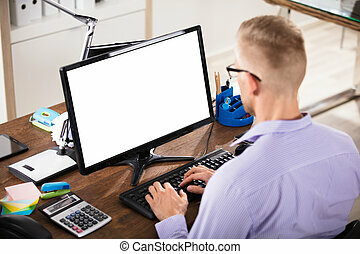 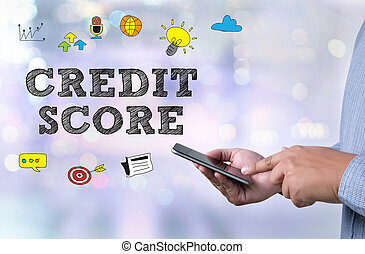 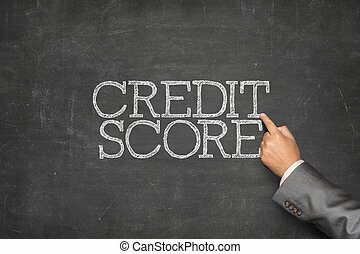 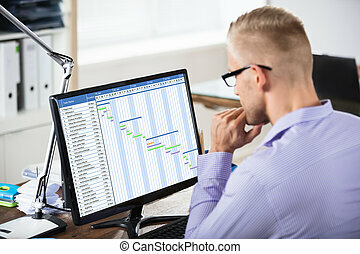 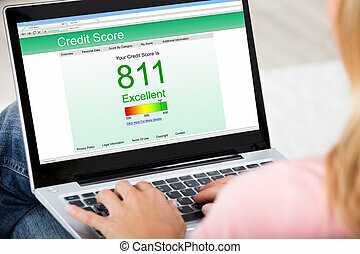 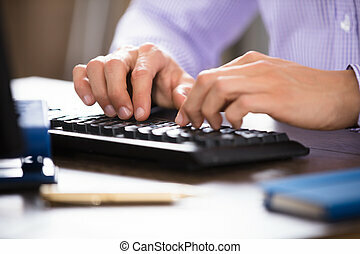 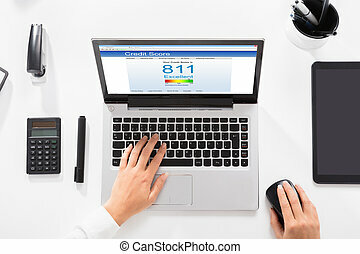 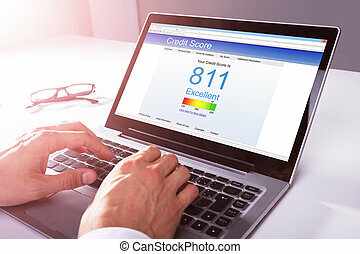 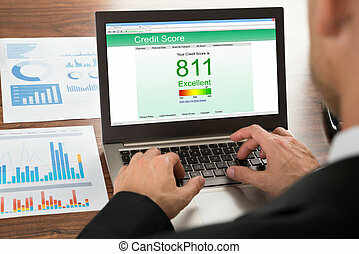 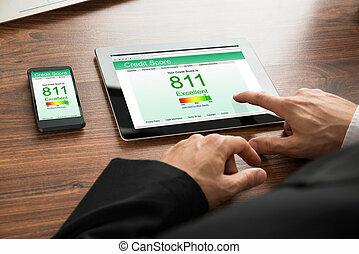 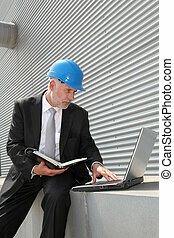 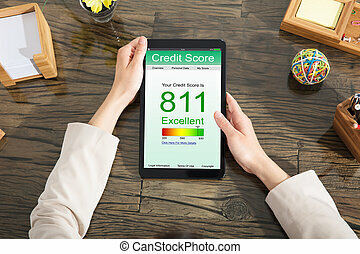 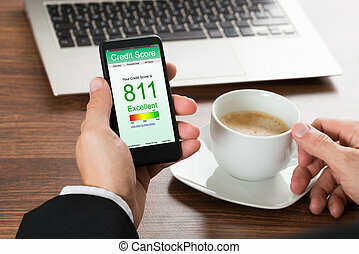 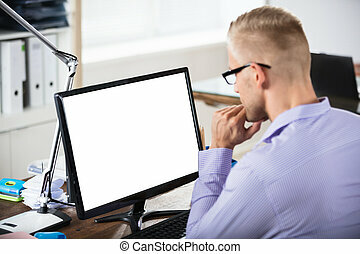 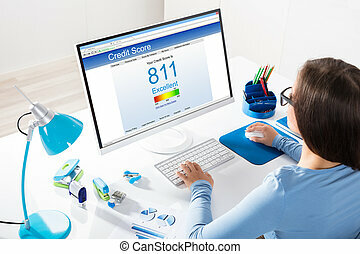 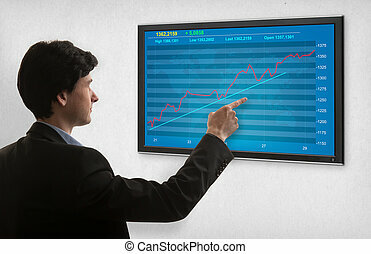 Businessman checking credit score on computer. 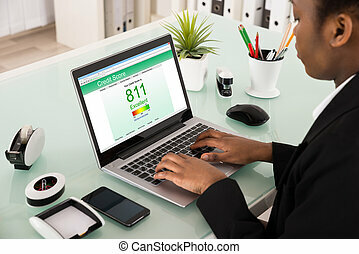 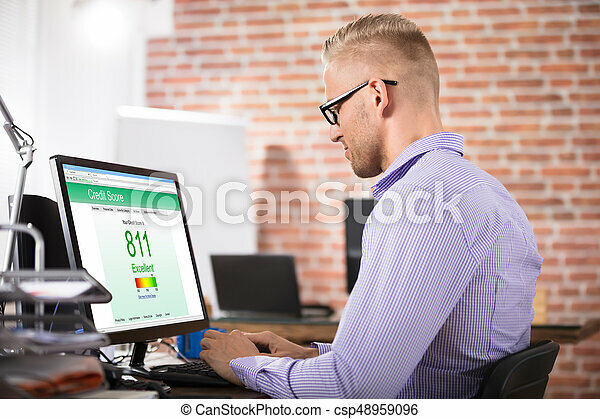 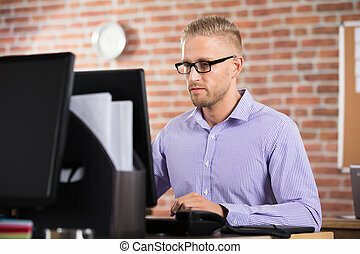 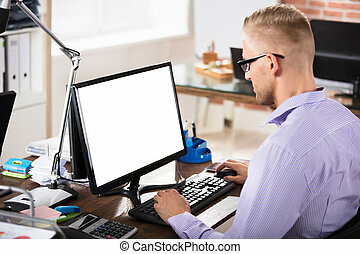 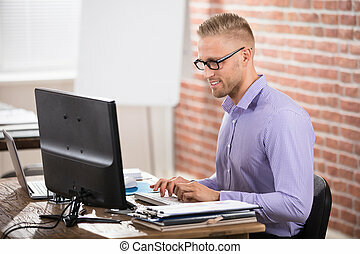 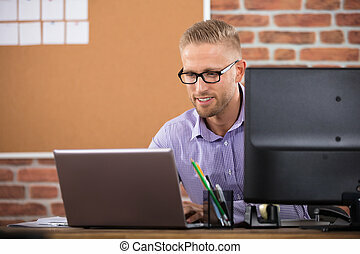 Young businessman checking online credit score on computer in office. 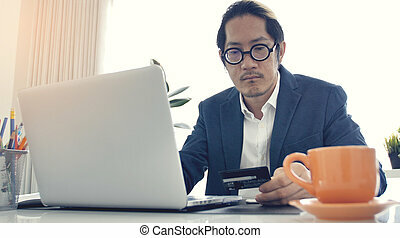 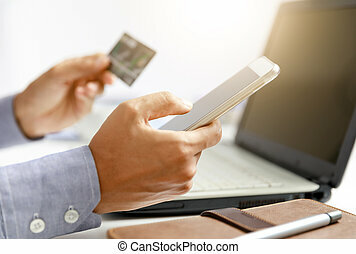 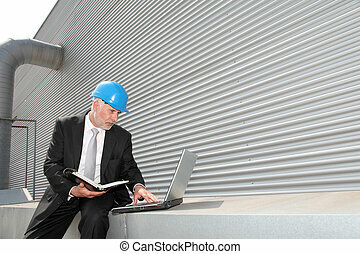 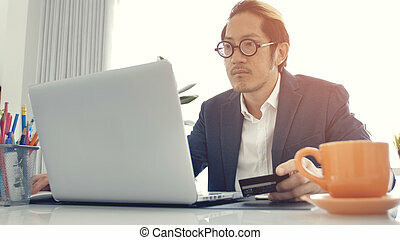 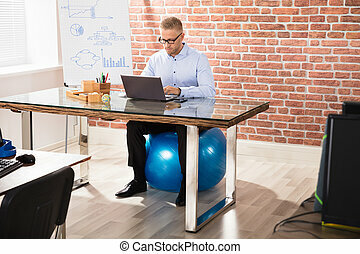 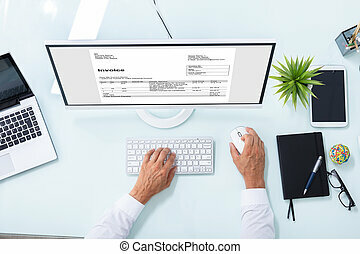 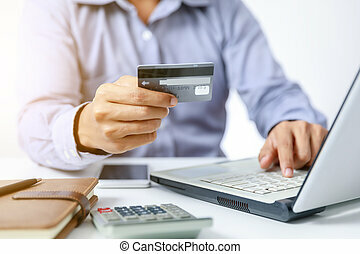 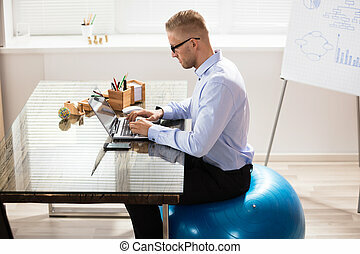 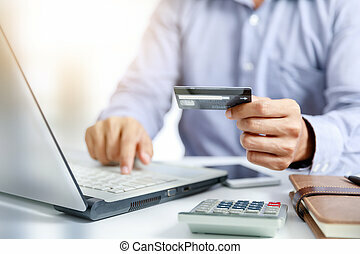 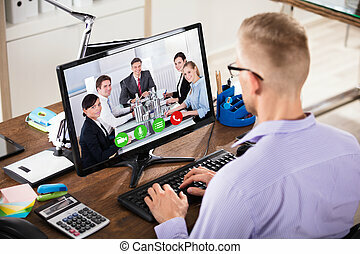 Businessman working on laptop computer with credit card in the office, Asian business man wearing eyeglass in office.